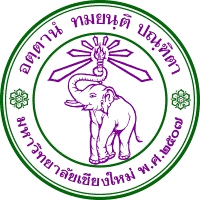 Founded in January 1964, under a Royal Charter granted by His Majesty King Bhumibol Adulyadej, Chiang Mai University (CMU) was established as the first institution of higher education in Northern Thailand, and as the first provincial university in our kingdom. Ever since its founding, CMU is focused on comprehensive institution of higher learning while providing a broad range of academic programs. In the field of research, CMU has been launching innovative initiatives and development projects, the results of which are utilized to further advance the standards of teaching, learning and technology transfer, supporting the social and economic development of the region and the country as a whole. As internationalization continues to be an essential factor in higher education development and in order to respond to the continuously growing domestic demand for international-level programs, CMU currently offers 6 international undergraduate degrees and 27 international postgraduate degree programs. Through constructive interaction with more than 200 partners worldwide, we seek to enhance both the quantity and quality of research and development projects conducted at CMU. The ever increasing number of our international students on campus reassures us that we are successfully working towards our goal of providing world-class education. Develop the Universitys administration systems and management under the Sufficiency Economy Philosophy while aiming at Sustainable Development.